Our Post 16 provision at the Co-op Academy Priesthorpe is a thriving and successful learning community. We hope that the information on offer will help you to make the right decision about your future studies. On our website you will find out about the wide range of courses we have on offer, along with all the information you will need as a current or prospective student. We work as a confederation with Pudsey Grangefield and Crawshaw Academy, our partnership of schools offer a flexible curriculum that enables the vast majority of students to follow their first-choice combination of A Level or Vocational subjects. We offer you the opportunity to tailor-make an education that is right for you. Our focus is your academic and social development and we will provide you with outstanding support and guidance throughout your time with us. Each student in Post 16 has a Coach, who takes on the role of supporting you and providing advice and guidance throughout your KS5 journey. Your Coach will be an important source of support, and will meet with you regularly up to 3 times per week. 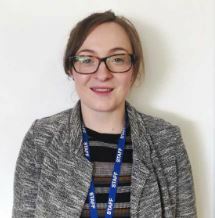 Miss Brigham is responsible for all academic aspects of Post 16 and works to ensure students receive outstanding provision in all aspects of their learner experience. Miss Jackson is responsible for the pastoral welfare of Post 16 students. She monitors student participation in enrichment opportunities and works to support students in removing barriers to learning. Mrs Lynch monitors student attendance levels and liaises with the Post 16 team regarding student absence and contact made with home. Mrs Davis coordinates Work Experience and provides the Post 16 team with careers guidance and opportunities that are available within the local area.